A green, pre-fab house. Karen Manley, Author provided. The building sector globally currently consumes more energy (34%) than the transport sector (27%) or the industry sector (28%). It is also the biggest polluter, with the biggest potential for significant cuts to greenhouse gas emissions compared to other sectors, at no cost. Buildings offer an easily accessible and highly cost-effective opportunity to reach energy targets. A green building is one that minimises energy use during design, construction, operation and demolition. The need to reduce energy use during the operation of buildings is now commonly accepted around the world. Changing behaviour could result in a 50% reduction in energy use by 2050. Such savings are strongly influenced by the quality of buildings. Passive buildings are ultra-low energy buildings in which the need for mechanical cooling, heating or ventilation can be eliminated. 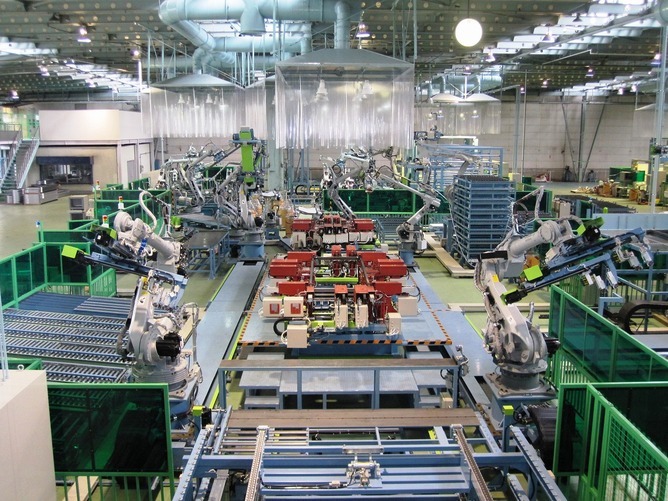 Modular or prefabricated green buildings, designed and constructed in factories using precision technologies, can help achieve these standards. These buildings are higher quality and more sustainable than buildings constructed on-site through manual labour. They are potentially twice as efficient compared to on-site building. However, despite support for modular houses, there are a number of hurdles in the way of a prefab revolution. How green can modular buildings be? Factory production means modular green buildings are better sealed against draughts, which in conventional buildings can account for 15-25% of winter heat loss. And factories also have better quality control systems, leading to improved insulation placement and better energy efficiency. Good insulation cuts energy bills by up to half compared to uninsulated buildings. Because production in a factory setting is on-going, rather than based on individual on-site projects, there is more scope for R&D. This improves the performance of buildings, including making them more resilient to natural disasters. For example, factory built houses in Japan have performed very well during earthquakes, with key manufacturers reporting that none of their houses were destroyed by the 1995 Hanshin Great Earthquake, as opposed to the destruction of many site-built houses. Buildings constructed on site probably can’t achieve the same benefits as modular buildings. Case studies in the UK show savings of 10% to 15% in building costs and a 40% reduction in transport for factory compared to on-site production. 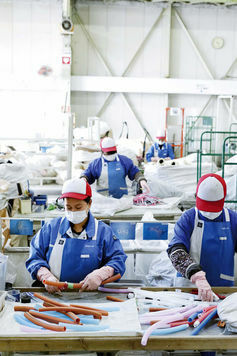 Factories also don’t lose time due to bad weather and have better waste recycling systems. For instance, Sekisui House, a Japanese builder, has a system for all their construction sites where waste is sorted into 27 categories on-site and 80 categories in their recycling centre to get the best value from the resources. On-site building is open to the weather. This prevents access to the precision technologies required to produce buildings to the highest environmental standards. These technologies include numerical controlled machinery, robotic assembly, building information models, rapid prototyping, assembly lines, test systems, fixing systems, lean construction and enterprise resource planning systems. For example, numerical controlled machinery provides more precise machine cutting that can’t be matched by manual efforts. This, combined with modelling, fixing and testing systems helps ensure that factories produce more airtight buildings, compared to on-site production, reducing energy leakage. High-Tech Factory, Shizuoka, Sekisui House Ltd.
Less than 5% of new detached residential buildings in Australia are modular green buildings. In leading countries such as Sweden the rate is 84%. In Japan, 15% of all their residential buildings are modular green buildings produced in the world’s most technologically advanced factories. Globally, there is a trend toward increased market penetration of green modular buildings. Yet their adoption in the Australian building sector has been slower than expected. However, we can still catch up. The latest evidence suggests that strengthening building codes and providing better enforcement is the most cost effective path towards more sustainable housing. Australia doesn’t have a great record here. Our building codes could be better focused, stricter, and certainly our enforcement could be a lot better. As the biggest polluter and a high energy user, the building sector urgently needs to reform for climate change mitigation. There are serious legacy issues. Mistakes we made in the past endure throughout the life of buildings. Building decisions we make today can be very costly to reverse, and buildings last for decades! In Australia, a timber building is likely to last at least 58 years, and a brick building at least 88 years. 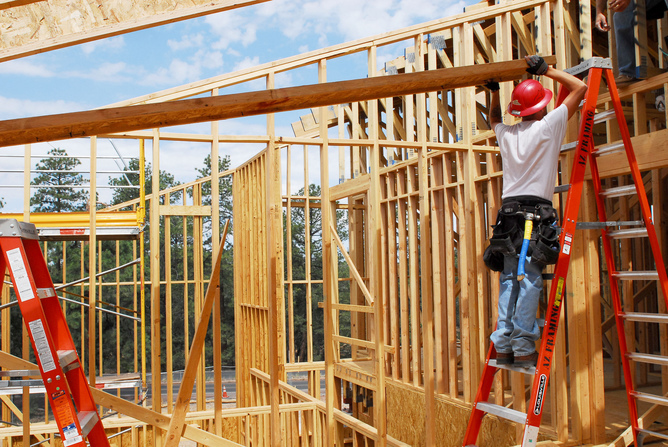 Currently, potential building owners are funnelled toward on-site construction processes, despite the clearly documented benefits of factory-based production. This is reflected in the low profile given to modular housing in the National Construction Code and a lack of aggressive and well enforced environmental standards. We clearly need better policy to support the modular green building industry. Karen Manley is A/Professor of Construction Management at Queensland University of Technology.